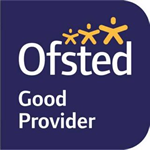 An integrated Ofsted inspection took place in Jamea Al Kauthar from 13th to 15th November 2018. The report from the inspection is available to read here and can also be found on the Ofsted website. The school’s Islamic ethos is reflected in every aspect of school life. Leaders and other members of staff are dedicated to providing the best possible care and education for pupils and work very hard to ensure that this happens. A key development for the school has been the introduction of a highly effective governing body who have been instrumental in supporting leaders to bring about the improvements to the school. The relationships between teachers and pupils are very positive. The school’s work to promote pupils’ personal development and welfare is outstanding. The behaviour of pupils is outstanding. The school’s careful teaching of knowledge about Islam and Islamic values, together with the daily routine of prayer, gives pupils a very secure grounding of spiritual experience. It also underpins pupils’ highly effective moral development. Effective Islamic and secular education is delivered in a well-planned curriculum. Pupils succeed in both and learn well. At whatever age pupils leave the school, they are knowledgeable about and have a deep understanding of their faith while being equipped to contribute to wider society. Students have very positive attitudes towards their studies. They try hard and take great pride in their work. Students’ attendance and punctuality are high. Boarders form a happy, resilient and confident community. They describe a strong, supportive family atmosphere that enables them to focus on spiritual development and increasing independence and social confidence. New boarders quickly acquire practical life skills in being organised, looking after themselves and taking care of others. May Allah reward all those who have invested in Jamea and assisted in its development, and those who continue to support the vision and work of Jamea. Aameen. Please keep Jamea, our staff, students, volunteers and well-wishers in your du’as.